There’s a lot more to cycling in Rhode Island than just the East Bay Bike Path. If you’re more than a casual cycler and like to participate in exciting, competitive races, check out these great competitions—many of which go toward a good cause! Bike through scenic Rhode Island at one of these 10 great cycling races in the state. Enjoy the Woonasquatucket River from the perspective of your bike—there’s no better way! Start off in Providence and then head through the Woonasquatucket Watershed. The different races span from five-mile rides to 60 miles, so that both families and avid cyclists can enjoy. The Jamestown Classic is the largest bike race in Rhode Island, and has been operating for over four decades. Scenic loop circles around forest, farmland, and even great views of Narragansett Bay. Proceeds go to help the Jamestown Rotary Club. 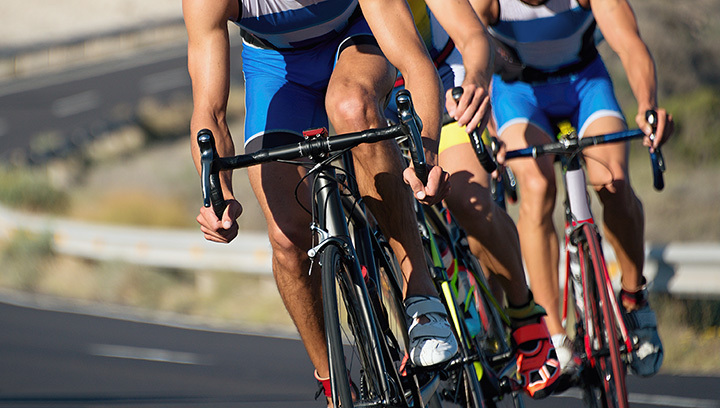 This 26-mile race will engage endurance cyclists as they zoom across stretches of hills and bridges. All proceeds from this great race will go to the Save the Bay foundation, which helps to protect Rhode Island waterways. This fantastic 66-mile race starts at the George Washington Management area in Foster and finishes up in Burlingame. The race uses chip technology to track racers along the route. This race is put on by the same people who organize the North/South Trail Challenge, so you can be sure to expect something great! This is a cyclocross-style race, and the train is a mix of single tracks, grassy fields, and double tracks. There’s even one set of barriers. The goal of this race is to cycle out cancer. Riders can choose to cycle for 15, 40, or 80 miles on a route that will take cyclers through gentle rolling hills across Rhode Island. Enjoy a starting and ending point at the Farmer’s Daughter in Kingston, where your friends and family will be stationed afterwards to cheer your accomplishments! This is another exciting race perfect for those who enjoy the mountain bike cross country style of cycling. There’s also a six-hour-long endurance race—do you think you have what it takes to outlast the rest? Hosted by the American Diabetes Association, this incredible race takes riders on routes between seven miles and 100 miles. Help to raise community awareness about diabetes and support diabetes research while also enjoying an incredible day biking Rhode Island. The National MS Society hosts this race, which they organize across open country roads and expansive Rhode Island coastal scenes, all during the warm month of June. The race lasts two days, and you’ll also stay overnight in University of Rhode Island’s dormitories. Thousands of cyclists join in cities around the world to raise money to support MS research. Little Compton hosts Rhode Island’s local event, and their race takes place in September. The course will be fully stocked with rest stops and bike mechanics—it’s all taken care of for you! View more Rhode Island Cycling and Bike Races.